Model T Ford Forum: Generator experts, what is this. Generator experts, what is this. Model T Ford Forum: Forum 2014: Generator experts, what is this. My generator recently died. 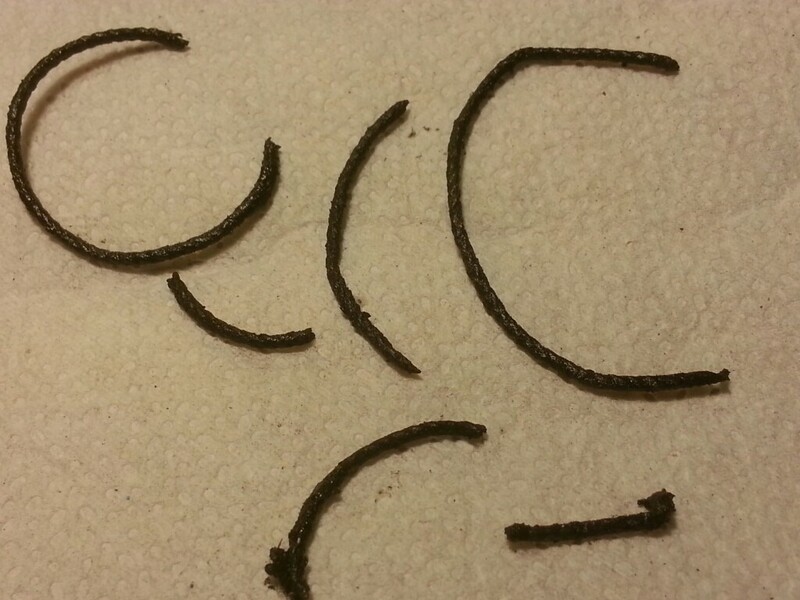 When I removed the adjustment cover, I found a few of these strands that look like twisted wire. Having never worked on a generator before, I thought they might be the brush wires. I removed the generator and disassembled it. The brush wires were fine. I found more strands. They break easily and appear to contain no metal. I now assume they are part of an old seal. 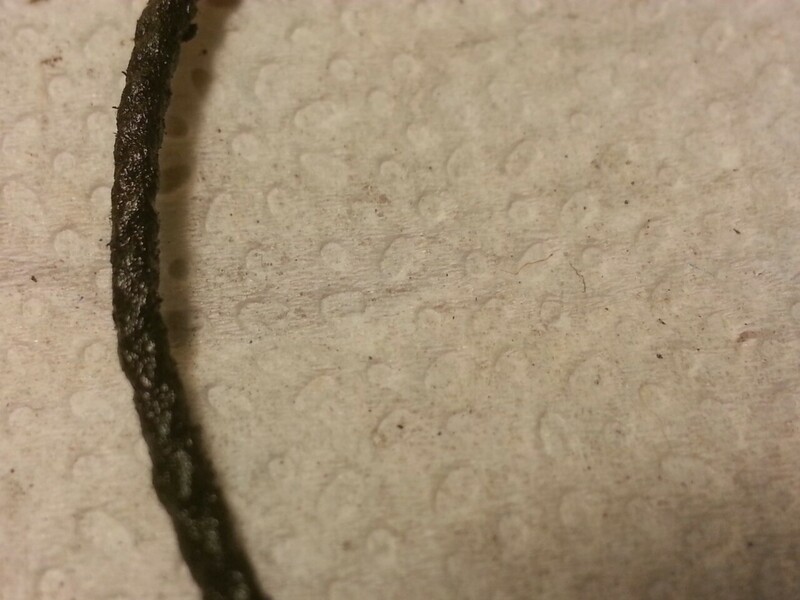 These strands are different looking than anything I've found inside. Any ideas? Been a while since I saw inside one. Could it be the insulation that the field coils were wound with? That is remnants of the cord used to tie down the winding to commutator wiring. You can see the more modern material used today. What usually happens is the armature got very hot (as a result of a generator fault), burned the cord and it falls off the armature inside the generator. Great, thanks very much. I have the MTFCA generator video and will probably attempt to find the fault and fix it myself as I have all winter to learn about it. If not, I have other affordable options. Thanks again. If I can lend any assistance with the DIY project give a shout.